A quick relaxation tip for today is to start decluttering all that stuff you have lying around. Perhaps minimalism is for you. Here's an interesting idea. All that stuff you have laying around the house, the yard, the garage, the office, and not to mention the storage building you had to rent because you couldn't fit it anywhere else is adding to your stress load. It may sound odd, but your material possessions may be stressing you out. There's a good reason why more and more people embrace various forms of minimalism. There's a lot of peace and tranquility to be found when what you own is comprehensible and easy to keep track of. When you have a lot of stuff, you have to keep mental tabs on it all. The more possessions we pile up, the more heavily the responsibility of taking care of and accounting for everything weighs on us. Most of this happens on an unconscious level. Speaking of space; it's the root of the problem - at least in part. Our homes are bigger than ever. Take a look at your childhood home by comparison or go even further back in history and look at the average house and room size. It was tiny in comparison to houses being built today. And let's not even get into the huge amounts of storage space our homes have these days. We tend to fill our dwellings with things as long as they fit. When room is at a short supply, we look for container and organizer solutions that allow us to cram more stuff into the same amount of space. There's a reason we have "container stores" now and professional organizers. The amount of worldly possessions we own has grown out of control and it's taking a toll on our physical and mental health. How can you reduce the stress your things cause you? You do it one drawer, one closet, one box, and one room at a time. Start with something, anything and go through and declutter. Keep the stuff that's truly important to you and either toss or donate the rest. Rinse and repeat. Be patient with yourself. This process will take time. Don't be tempted to purge it all in one major session unless you're the type of person for whom this is the only way it will get done. Instead work on one category or one room at a time. When you're done, go through it all again. This time it will go much faster, but you'll be surprised about how many other things you'll find that you can easily live without. Give it a try. 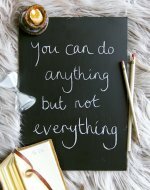 It's a freeing feeling and even the act of declutter itself is a great stress buster. 1) Relaxation tip: Designate a spot for incoming papers. Papers often account for a lot of our clutter. This is because we put them in different spots — on the counter, on the table, on our desk, in a drawer, on top of our dresser, in our car. No wonder we can’t find anything! Designate an in-box tray or spot in your home (or at your office, for that matter) and don’t put down papers anywhere but that spot. Got mail? Put it in the inbox. Got school papers? Put it in the inbox. Receipts, warranties, manuals, notices, flyers? In the inbox! This one little change can really transform your paperwork. 2) Relaxation tip: Start clearing a starting zone. What you want to do is clear one area. This is your no-clutter zone. It can be a counter, or your kitchen table, or the three-foot perimeter around your couch. Wherever you start, make a rule: nothing can be placed there that’s not actually in use. Everything must be put away. 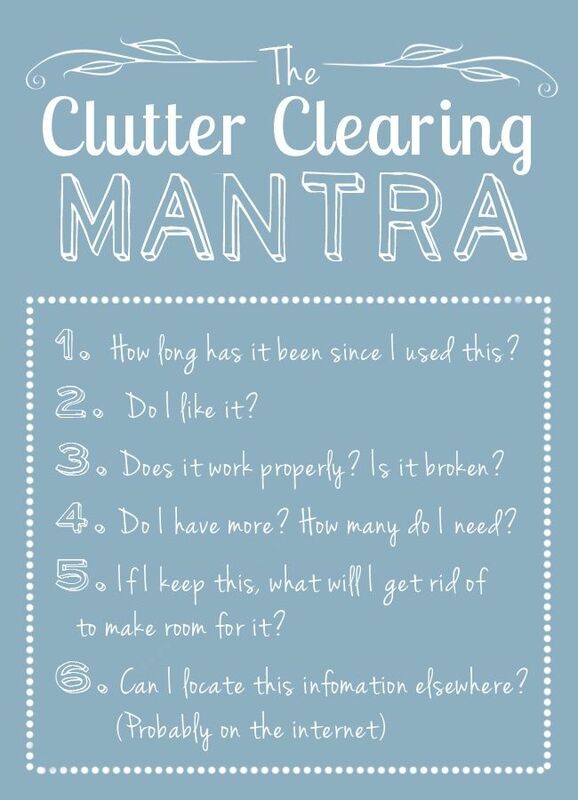 Once you have that clutter-free zone, keep it that way! Now, each day, slowly expand your no-clutter zone until it envelopes the whole house! Unfortunately, the neighbors don’t seem to like it when you try to expand the no-clutter zone to their house, and start hauling away their unused exercise equipment and torn underwear when they’re not at home. Some people don’t appreciate simplicity, I guess. 3) Relaxation tip: Clear off a counter. You want to get your house so that all flat spaces are clear of clutter. Maybe they have a toaster on them, maybe a decorative candle, but not a lot of clutter. So start with one counter. Clear off everything possible, except maybe one or two essential things. Have a blender you haven’t used since jazzercise was all the rage? Put it in the cupboard! Clear off all papers and all the other junk you’ve been tossing on the counter too. 4) Relaxation tip: Pick a shelf. Now that you’ve done a counter, try a shelf. It doesn’t matter what shelf. Could be a shelf in a closet, or on a bookshelf. Don’t tackle the whole bookshelf — just one shelf. Clear all non-essential things and leave it looking neat and clutter-free. 5) Relaxation tip: Schedule a decluttering weekend. Maybe you don’t feel like doing a huge decluttering session right now. But if you take the time to schedule it for later this month, you can clear your schedule, and if you have a family, get them involved too. The more hands pitching in, the better. Get boxes and trash bags ready, and plan a trip to a charity to drop off donated items. You might not get the entire house decluttered during the weekend, but you’ll probably make great progress. 6) Relaxation tip: Pick up 5 things, and find places for them. These should be things that you actually use, but that you just seem to put anywhere, because they don’t have good places. If you don’t know exactly where things belong, you have to designate a good spot. Take a minute to think it through — where would be a good spot? Then always put those things in those spots when you’re done using them. Do this for everything in your home, a few things at a time. 7) Relaxation tip: Spend a few minutes visualizing the room. When I’m decluttering, I like to take a moment to take a look at a room, and think about how I want it to look. What are the most essential pieces of furniture? What doesn’t belong in the room but has just gravitated there? What is on the floor (hint: only furniture and rugs belong there) and what is on the other flat surfaces? Once I’ve visualized how the room will look uncluttered, and figured out what is essential, I get rid of the rest. 8) Relaxation tip: Create a “maybe” box. Sometimes when you’re going through a pile of stuff, you know exactly what to keep (the stuff you love and use) and what to trash or donate. But then there’s the stuff you don’t use, but think you might want it or need it someday. You can’t bear to get rid of that stuff! So create a “maybe” box, and put this stuff there. Then store the box somewhere hidden, out of the way. Put a note on your calendar six months from now to look in the box. Then pull it out, six months later, and see if it’s anything you really needed. Usually, you can just dump the whole box, because you never needed that stuff. 9) Relaxation tip: Put a load in your car for charity. If you’ve decluttered a bunch of stuff, you might have a “to donate” pile that’s just taking up space in a corner of your room. Take a few minutes to box it up and put it in your trunk. Then tomorrow, drop it off. 10) Relaxation tip: Create a 30-day list. The problem with decluttering is that we can declutter our butts off (don’t actually try that — it’s painful) but it just comes back because we buy more stuff. So fight that tendency by nipping it in the bud: don’t buy the stuff in the first place. Take a minute to create a 30-day list, and every time you want to buy something that’s not absolutely necessary (and no, that new Macbook Air isn’t absolutely necessary), put it on the list with the date it was added to the list. Make a rule never to buy anything (except necessities) unless they’ve been on the list for 30 days. Often you’ll lose the urge to buy the stuff and you’ll save yourself a lot of money and clutter. 11) Relaxation tip: Teach your kids where things belong. This only applies to the parents among us, of course, but if you teach your kids where things go, and start teaching them the habit of putting them there, you’ll go a long way to keeping your house uncluttered. Of course, they won’t learn the habit overnight, so you’ll have to be very very patient with them and just keep teaching them until they’ve got it. And better yet, set the example for them and get into the habit yourself. 12) Relaxation tip: Set up some simple folders. Sometimes our papers pile up high because we don’t have good places to put them. Create some simple folders with labels for your major bills and similar paperwork. Put them in one spot. Your system doesn’t have to be complete, but keep some extra folders and labels in case you need to quickly create a new file. 13) Relaxation tip: Learn to file quickly. Once you’ve created your simple filing system, you just need to learn to use it regularly. Take a handful of papers from your pile, or your inbox, and go through them one at a time, starting from the top paper and working down. Make quick decisions: trash them, file them immediately, or make a note of the action required and put them in an “action” file. Don’t put anything back on the pile, and don’t put them anywhere but in a folder (and no cheating “to be filed” folders!) or in the trash/recycling bin. 14) Relaxation tip: Pull out some clothes you don’t wear. As you’re getting ready for work, and going through your closet for something to wear, spend a few minutes pulling out ones you haven’t worn in a few months. If they’re seasonal clothes, store them in a box. Get rid of the rest. Do this a little at a time until your closet (and then your drawers) only contains stuff you actually wear. 15) Relaxation tip: Clear out your medicine cabinet. If you don’t have one spot for medicines, create one now. Go through everything for the outdated medicines, the stuff you’ll never use again, the dirty-looking bandages, the creams that you’ve found you’re allergic to, the ointments that never had an effect on your energy or your eye wrinkles. Simplify to the essential. 16) Relaxation tip: Pull everything out of a drawer. Just take the drawer out and empty it on a table. Then sort the drawer into three piles: 1) stuff that really should go in the drawer; 2) stuff that belongs elsewhere; 3) stuff to get rid of. Clean the drawer out nice, then put the stuff in the first pile back neatly and orderly. Deal with the other piles immediately! 17) Relaxation tip: Learn to love the uncluttered look. Once you’ve gotten an area decluttered, you should take the time to enjoy that look. It’s a lovely look. Make that your standard! Learn to hate clutter! Then catch clutter and kill it wherever it crops up. Unload all that unnecessary weight that's dragging you down!